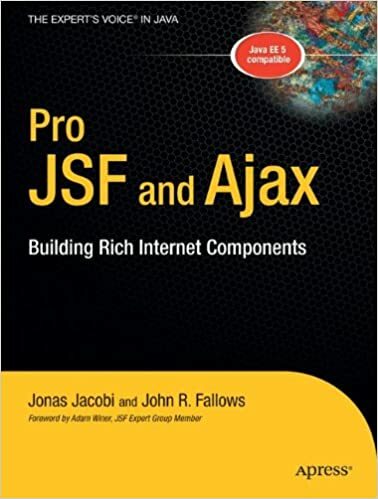 * The JSF book that will take developers to the next level – delivers cutting edge cross browser platform solutions using Best of Breed technologies. * Will be only book on market compliant with the J2EE 5(JSF 1.2) specification. * Authors are respected experts in the field as are the tech review team (which includes Adam Winder from the JSF Expert Group –who provides a foreword – and Kito Mann who runs JSFCentral.com and wrote the highly respected JavaServer Faces in Action.